There may be bad blood between Amber Rose and Kanye West but the model and entrepreneur is definitely on the rapper's side as regards the ongoing feud between Kanye/Kim Kardashian and singer Taylor Swift. 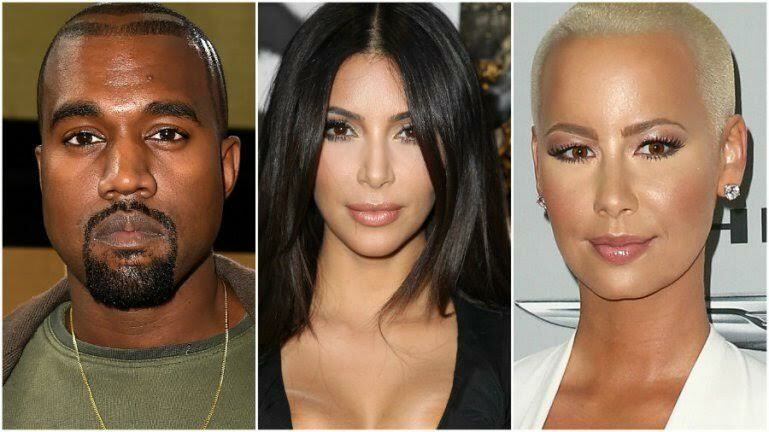 Amber Rose who once dated Kanye West and had a heated Twitter battle with him earlier this year doesn't believe the he would have lyrically slammed Taylor in his lewd "Famous" lyrics without her permission. "So, I'm not the biggest fan of Kanye," she said on her Friday episode of "The Amber Rose Show." "But I was next to him at the VMAs that year ... I remember the repercussions after that,"
"He was so remorseful. I mean he really felt so bad, because it wasn't about Taylor. It was about Beyoncé and her video ... he didn't want to interrupt Taylor — he didn't even know who she was at the time,"